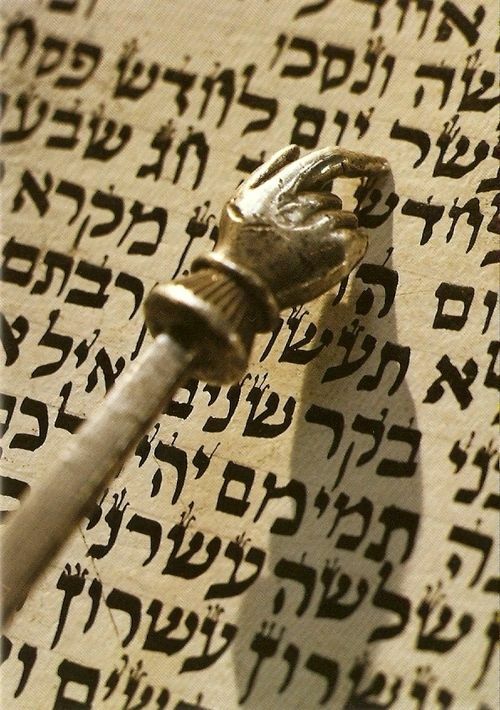 The Torah, in Deuteronomy 15:7, states, כִּי יִהְיֶה בְךָ אֶבְיוֹן מֵאַחַד אַחֶיךָ בְּאַחַד שְׁעָרֶיךָ, בְּאַרְצְךָ אֲשֶׁר השׁם אֱ־לֹקֶיךָ נֹתֵן לָךְ, לֹא תְאַמֵּץ אֶת לְבָבְךָ וְלֹא תִקְפֹּץ אֶת יָדְךָ מֵאָחִיךָ הָאֶבְיוֹן, If there be a destitute person among you, any of your brethren in any of your cities, in the Land that the Lord your God gives you, you shall not harden your heart or close your hand against your destitute brother. The Torah then concludes, Deuteronomy 15:8, כִּי פָתֹחַ תִּפְתַּח אֶת יָדְךָ לוֹ, וְהַעֲבֵט תַּעֲבִיטֶנּוּ דֵּי מַחְסֹרוֹ אֲשֶׁר יֶחְסַר לוֹ, Rather, you shall open your hand to him; you shall lend him his requirement, whatever is lacking to him. The Torah truly set a new standard of concern for the needy and the poor by proclaiming in Deuteronomy 15:10, נָתוֹן תִּתֵּן לוֹ וְלֹא יֵרַע לְבָבְךָ בְּתִתְּךָ לוֹ, כִּי בִּגְלַל הַדָּבָר הַזֶּה יְבָרֶכְךָ השׁם אֱ־לֹקֶיךָ בְּכָל מַעֲשֶׂךָ וּבְכֹל מִשְׁלַח יָדֶךָ, You shall surely give him [the needy and the poor], and let your heart not feel bad when you give him, for in return for this matter the Lord your God will bless you in all your deeds, and in your every undertaking. The psalmist, in Psalms 24:1, declares, “The earth and its fullness belong to the L-rd, the world, and all its inhabitants.” Judaism rejects the notion of “personal” property. Everything belongs to God! Humans are merely caretakers of God’s property that is placed temporarily in our possession. As if to underscore the idea of caretaking, it has become a popular Jewish custom to inscribe the books in one’s personal home library with the verse from Psalms 24:1, and then writing, בִּרְשׁוּת , Birshut, this volume, is only in my possession, as if the volume is borrowed from God. The rabbis declare, in Beitza 16a, that on Rosh Hashanah, a person’s income is allotted from one new year to the next, with the exception of expenses for Shabbat and holiday meals, and the cost of Jewish education even those who work harder will not earn more, and those who work less will still earn the same. One cannot increase or decrease what has been ordained in Heaven. The prophet Malachi 3:10, declares, וּבְחָנוּנִי נָא בָּזֹאת אָמַר השׁם צְבָאוֹת, Test me herewith, says the Lord of Hosts, if I will not open to you the windows of Heaven and pour out a blessing that shall be more than sufficiency. The prophet assures those generous people who bring tithes and give charity with an open heart that God will provide for them. Despite the general prohibition of testing God, when it comes to charity, God implores the people to test Him by giving charity and expecting to be rewarded.